PwC’s Growth Markets Centre has recently launched its 2017 annual report titled ‘Winning in maturing markets’, which focuses on understanding growth opportunities in developing markets, in an era marked by sluggish global growth and rising economic and political uncertainties in the developed parts of the world. The report analyses growth opportunities across six key sectors – agriculture, health & education, manufacturing, retail, financial services and connectivity (transport & communication) – and highlights a number of essential business capabilities that need to be developed by firms looking to succeed profitably in these markets. Growth markets should be considered as ‘mature’ rather than ‘volatile’ in nature, with different markets following distinctive growth paths towards stability and long-term prosperity. Despite recent stagnation in the pace of real GDP growth as a result of domestic and external factors – including domestic and foreign policy actions, falling global commodity prices, speculation around rising interest rates and unfortunate environmental disasters – growth markets will continue to register a rising share in global GDP growth in the next five years, reaching almost 65% by 2021. Sustaining growth in agriculture is of high importance to growth markets, where the sector is a primary source of livelihood. In fact, a large majority of the global agricultural labour force (over 90%) still reside in developing countries. Growth opportunities in agriculture spread across production, enabling farmers to be more efficient and to deliver higher yield, and consumption – addressing the ever-changing food and drink preferences of consumers. Pushed by the need to cover large infrastructure and resource gaps, health expenditure is expected to grow by 10.7% annually in growth markets versus a low 3.7% in developed economies by 2022. The opportunity size for maturing markets is also supposed to touch USD 4 trillion in annual spend by 2022 – creating new opportunities for life sciences companies, medical device manufacturers, pharmaceutical companies and delivery service providers. Digital health is emerging as a growth sector worldwide, garnering USD 13 billion in investments over 2014 and 2015. Unsurprisingly, the adoption of technology-driven solutions is expected to increase, with growth markets looking at low cost and less resource-intensive options to bridge existing gaps. Growth markets are now responsible for almost 60% of all low and medium technology manufacturing worldwide. Even more noteworthy is the speed at which these markets have grown their share in high-tech manufacturing – accounting for almost 50% of manufacturing value-add globally. The introduction of new production technologies and changing cost dynamics are further expected to influence global manufacturing competitiveness in the coming years. Domestic consumption is one of the most important factors in keeping a growth market’s economy moving upward direc. This is driven by the expansion of the middle class, who have a higher propensity to pay for quality and value, therefore boosting opportunities across the sector, particularly for discretionary and aspirational products such as clothing, entertainment, leisure and automobiles. Up until 2010, 46% of the world’s middle class lived in growth markets, but by 2020, this will have increased to almost 70% and to nearly 80% by 2030. Expanding access to financial services amongst households will be key to improving the availability of domestic growth capital in growth markets. This can be achieved through technological investments, which are key to improve reach and accessibility to financial services; alternative payments such as non-cash transactions; and the launch of non-traditional sector participants such as e-commerce companies and mobile operators. Connectivity is fundamental to growth in any country, but in many growth markets the scale and quality of connectivity infrastructure, across both transport and communication is below what is needed to facilitate and sustain high growth. This presents many opportunities to venture into areas such as improving road connectivity, increasing third-party logistics services, and in increasing mobile and Internet penetration in both urban and rural communities in maturing markets. The report also discusses capabilities required to navigate through the complex business environment and institutional voids associated with growth markets. Companies will need to develop flexible business models which are more suitable for the local market, while developing new capabilities based on operational efficiency, innovation and go-to-market excellence. You can download a copy of ‘Winning in maturing markets’ here​. International Monetary Fund, World Economic Outlook, October 2016. World Economic Forum, Health Systems Leapfrogging in Emerging Economies, January 2014. 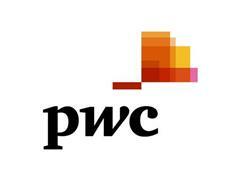 PwC and Switzerland Global Enterprise, Rising Middle Class – Global Outlook and Growth Potential, April 2015.